Not sure how to tell your doctor, nurse or health worker about a symptom? It’s simpler than you think. Do yourself a favour and read about the 10 early symptoms of the five most common cancers. It might just save your life. Help us spread the Find Cancer Early message in your local community. There are plenty of ways you can help spread the word. Convincing yourself it’s nothing to worry about? Don’t make excuses for your symptoms or for seeking help. Read the experiences and advice of regional WA cancer patients and survivors. 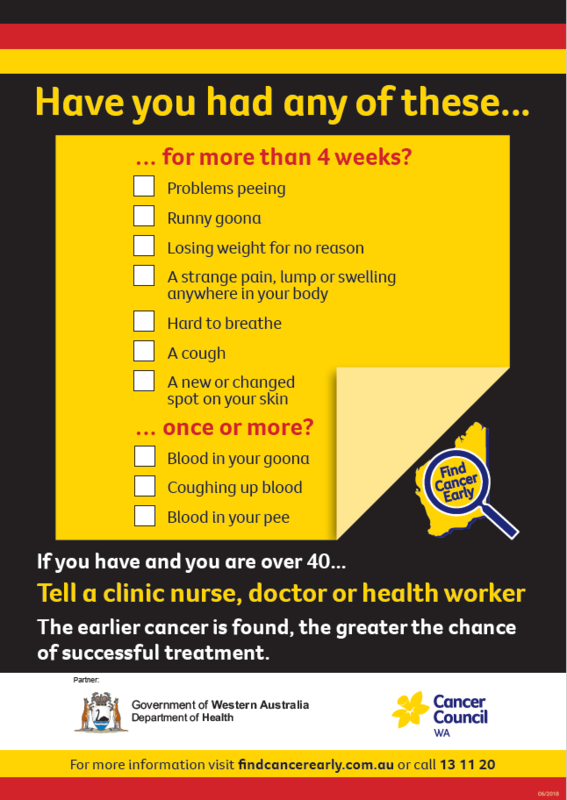 Look out for the 10 early symptoms of the five most common cancers affecting Western Australians. The earlier cancer is found, the greater the chance of surviving it and being around longer for your family. Pearls of wisdom from regional Western Australians who’ve had cancer. Download the Find Cancer Early symptom checklist, diagnostic tools for health professionals and access other resources. People living in regional Australia have poorer cancer outcomes than people living in metropolitan areas. Survival outcomes for regional Australians are 20-30% worse than Australians living in a metropolitan area. 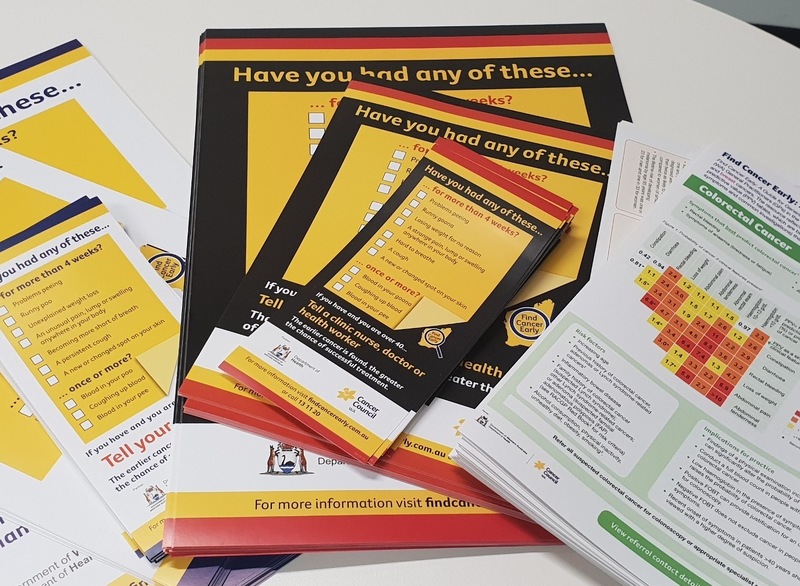 The Find Cancer Early program for regional Western Australians was created by Cancer Council WA to improve cancer outcomes for regional Western Australians by increasing cancer symptom awareness and encouraging people to visit their doctor, clinic nurse or Aboriginal health worker earlier. We know that people are more likely to survive cancer if it’s found early. We also believe your postcode should not define your cancer outcome. 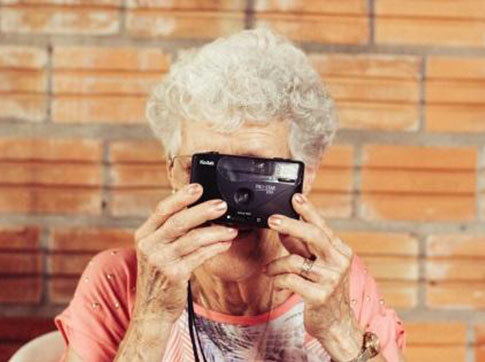 Explore the website to discover important information to help you identify potential early symptoms of bowel, breast, lung, prostate and skin cancer early, and learn what you need to do if you notice a symptom. Adults of all ages are encouraged to explore the website to learn about 10 early symptoms of the 5 most common cancers in WA. 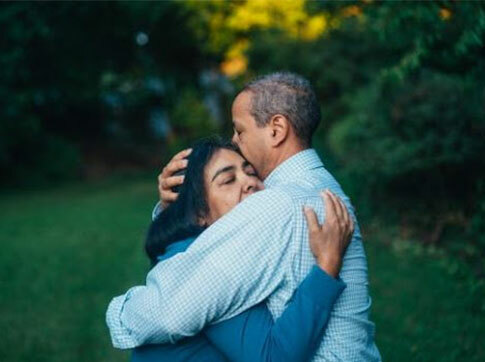 Share this information with family, friends and colleagues over 40 so that they can Find Cancer Early for the best chance of successful treatment and survival. Take 45 seconds to listen to regional GP’s covering some of the early cancer symptoms you should be aware of. 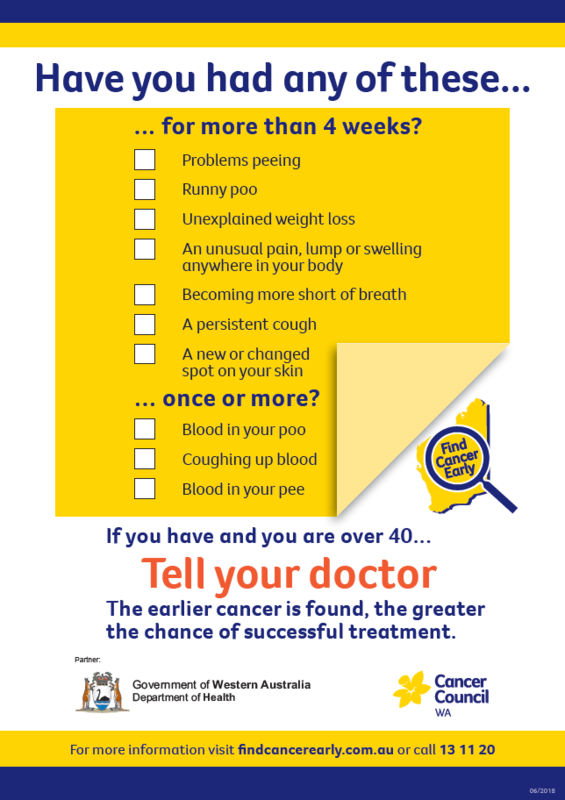 Cancer Council WA, in partnership with the Western Australian Department of Health, provide you with the most up to date information on finding cancer early. Find Cancer Early is proud to acknowledge Aboriginal and Torres Strait Islander wisdom and concepts of traditional and holistic health and wellbeing. 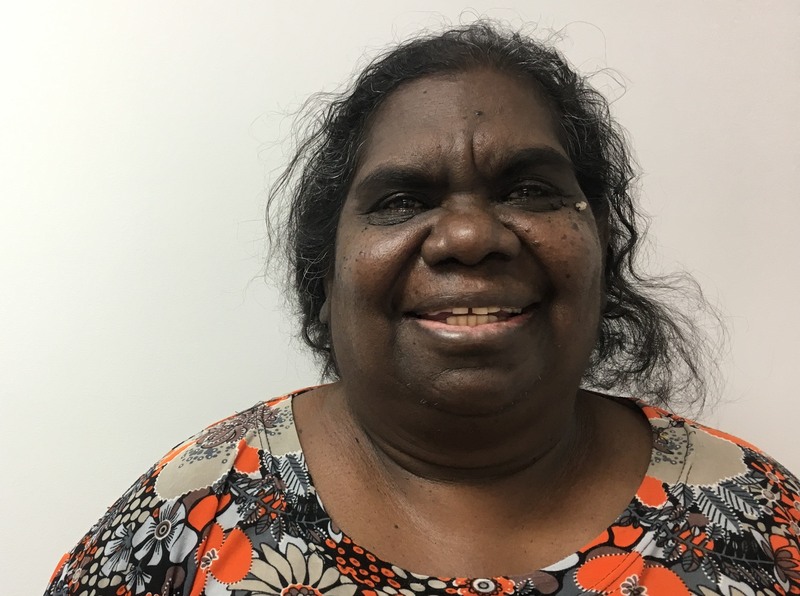 Find Cancer Early pays respect to the Traditional Custodians of Country throughout Australia and acknowledges Elders past and present and their ongoing connection to the lands and waterways. Throughout this website we use the term Aboriginal people, it is inclusive of people of Torres Strait Islander descent. We know that people are more likely to survive cancer if it’s found early. This website provides important information to help you identify potential early symptoms of bowel, breast, lung, prostate and skin cancer, and what you should do if you find them. Enter your details and click SUBSCRIBE to sign up to our Newsletter.